Turn your bathroom into your own personal oasis with a custom towel perfect for drying you off in style. 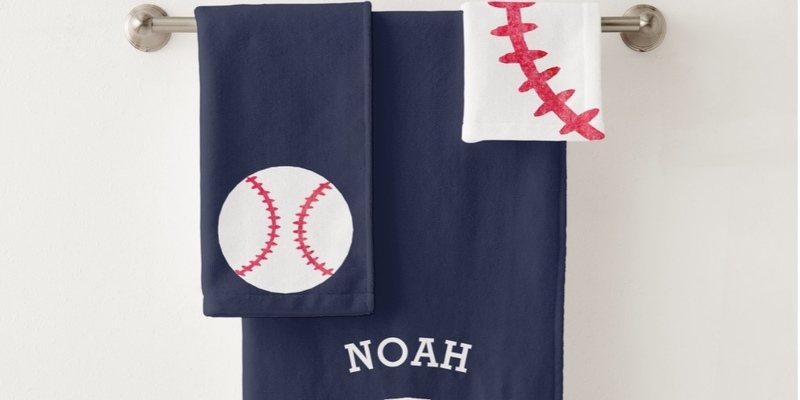 You can choose to buy the towels in a set of three, a bath towel, hand towel, and washcloth or purchase separately. The material on the front is a polyester blend and the back is 100% cotton. Coordinate with our shower curtains and bath accessories sets for fun themed bath decor.